In a mixing bowl, combine the chopped cabbage, green grapes, coriander leaves and green chillies and refrigerate. Prepare the dressing by mixing olive oil, lemon juice, sugar and salt in a small bowl. 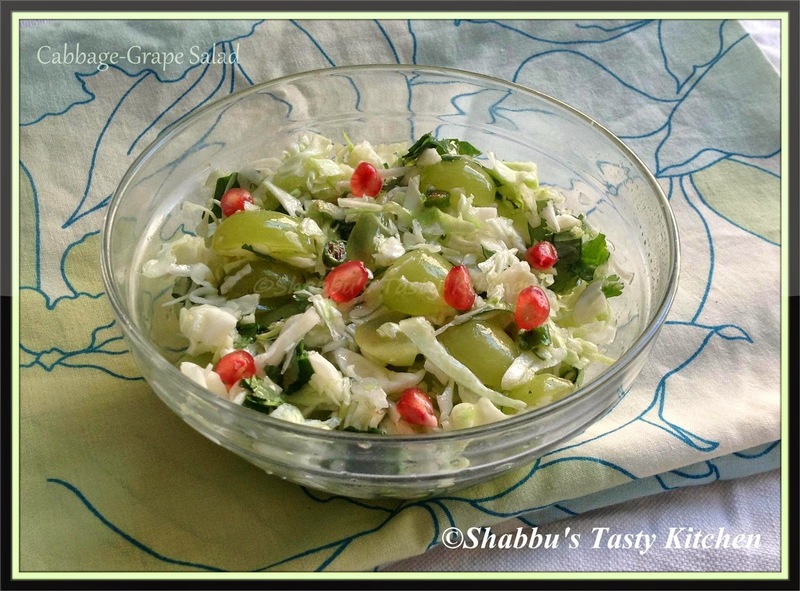 When ready to serve, mix salad dressing with cabbage-grapes mixture.